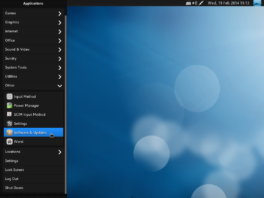 BlankOn is a Linux distribution that’s based on Debian Testing. This article – BlankOn 9.0 review – presents a review of the latest release of the distribution. My first look at a BlankOn edition was BlankOn 8, which was back in August 2012 (see BlankOn 8 preview). So it’s been almost a year and a half between BlankOn 8 and 9. That’s plenty of time to make major improvements and fix whatever needs fixing on a desktop operating system. 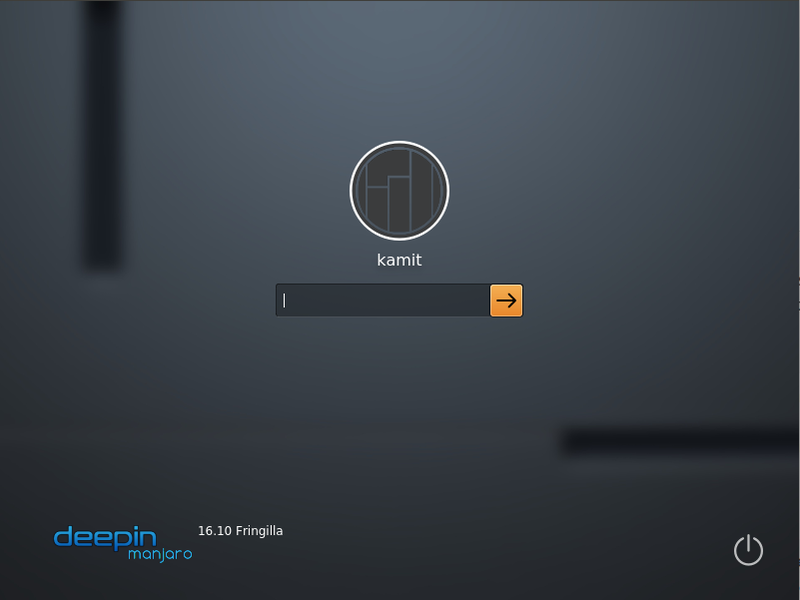 The distribution uses the GNOME 3 desktop environment with a custom desktop shell called Manokwari. It looked good the first time I took it for a spin (on BlankOn 8), but I wasn’t too impressed with some aspects of it. But that was 18 months ago, maybe things are better on BlankOn 9.0, which is code-named Suroboyo. 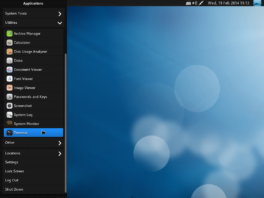 But a custom desktop shell is not the only feature that BlankOn claims to bring to the table. 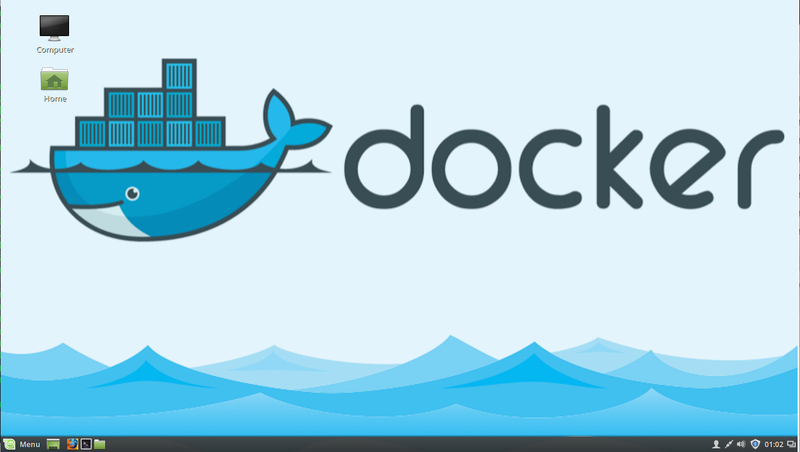 It also claims to have a custom graphical package manager named Warsi, a mapping application called GoeBlankOn or Peta, and Maleo, a development tool for creating cross-platform HTML 5 applications. I’m not really interested in Maleo, but those other features sounded like good reasons to take it for a spin. So I downloaded an installation image and attempted a test installation. BlankOn 9.0 Installer and Installation Process: Like most Linux distributions, the installer boots into a window that offers options to boot into a Live desktop or start the installation process without making a customary stop at the Live desktop. 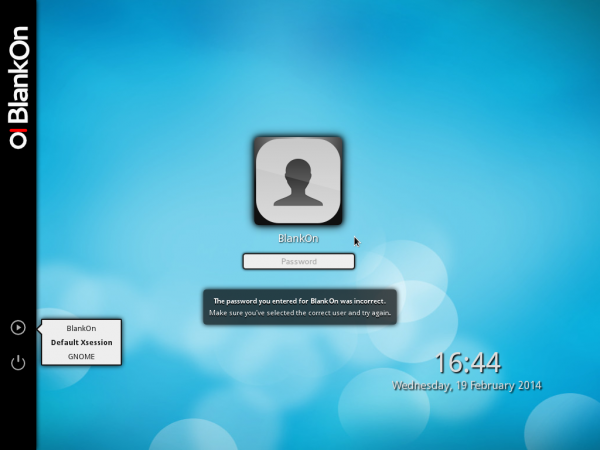 This screenshot shows that window on BlankOn 9. 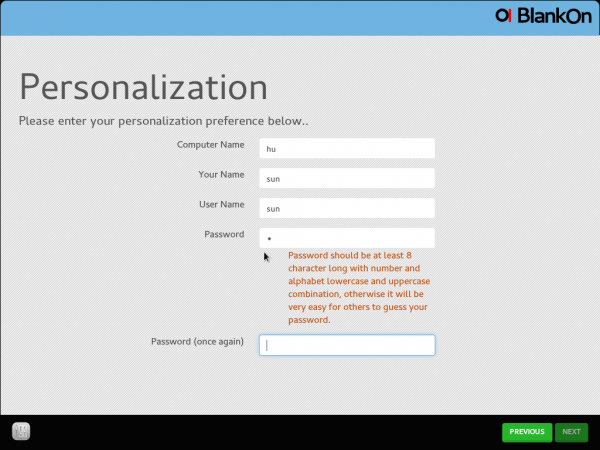 If you choose Install BlankOn from the previous screen, you will be taken to the first step of the installation process, which is shown in the screenshot below. It is also the disk partitioning step. The installer has a Quick Mode and an Advanced Mode, but trust me, there’s nothing advanced about the Advanced Mode. As far as I could determine, the installer lacks a manual disk partition tool. Its all automated, so if you are installing on a brand new disk and you don’t mind devoting the whole disk to BlankOn 9, the installer will work just fine. However, if there are existing partitions on the hard drive, I couldn’t find a way to delete partitions and create space for installing the distribution. In my test installation, I just chose the main partition and the installer used it. This is the user setup step of the installation process. One thing the installer does well is enforce strong passwords. And this is the same step when in Advanced Mode. The only “advanced” options in the installer are Enforce strong password and Automatically login. That’s all there is to the installer. It’s point-and-click easy-to-use, but lacks any “advanced” features. 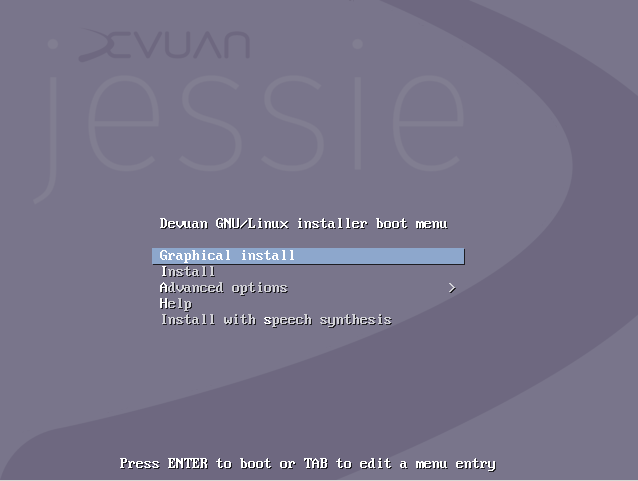 I wonder why the developers just didn’t use the graphical Debian Installer, like the developers of Kali Linux chose to do. During the installation process, the screen lock activated and a password was required to log back into the Live desktop. By trial and error I discovered that the password is live. 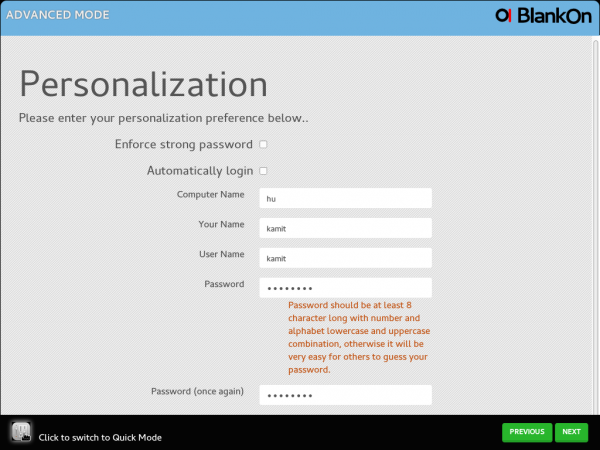 So if you are installing BlankOn 9 and the screen lock activates, that’s the password. BlankOn 9.0 Desktop: Like the installer, the desktop looks very smooth, with good desktop effects. If you like cool desktop effects, you’ll love BlankOn 9. 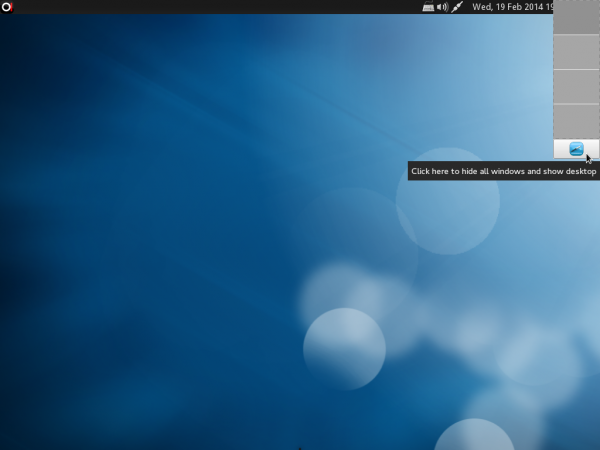 This screenshot shows the default desktop. Out of the box, there are four virtual desktops or workspaces. And it shipped with GNOME 3.10.2. The menu of the Manokwari desktop shell is like one of those you can enable using an extension on the default GNOME Shell. I wasn’t terribly impressed with it. It’s an accordion-style menu, which is good, but it lacks a search feature. 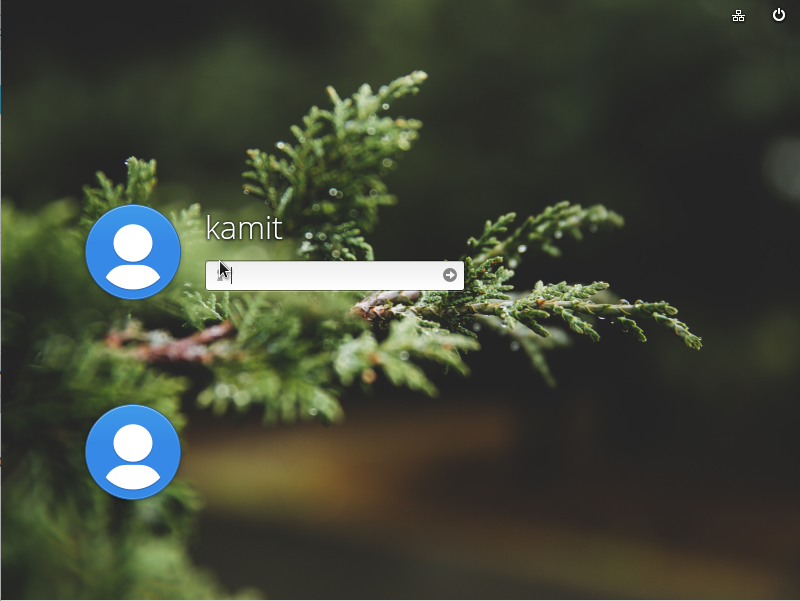 After using a modern desktop that has an integrated search feature, like the one on the default GNOME Shell, the classics-style menu feels very dated and limiting. This screenshot shows the desktop with the menu revealing installed Internet applications. Chromium is the installed Web browser. 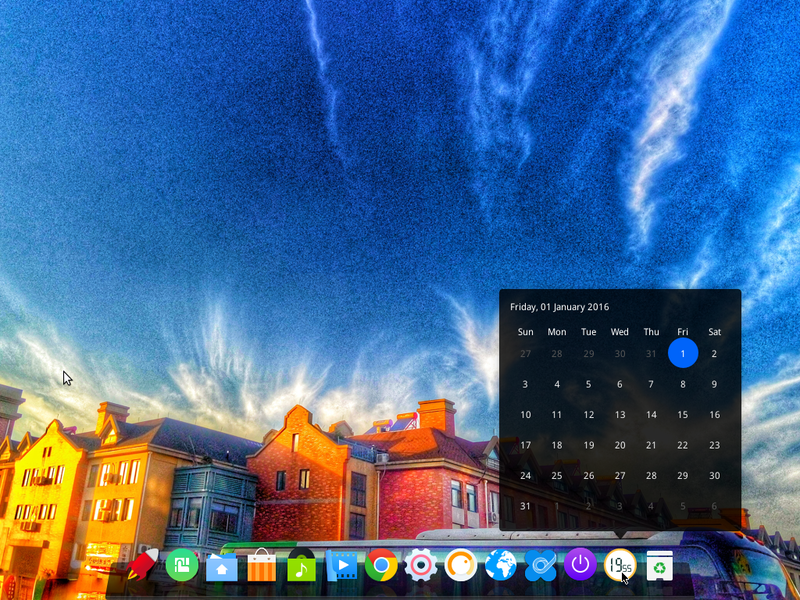 Click on any image of this gallery to view other aspects of the BlankOn 9 desktop. 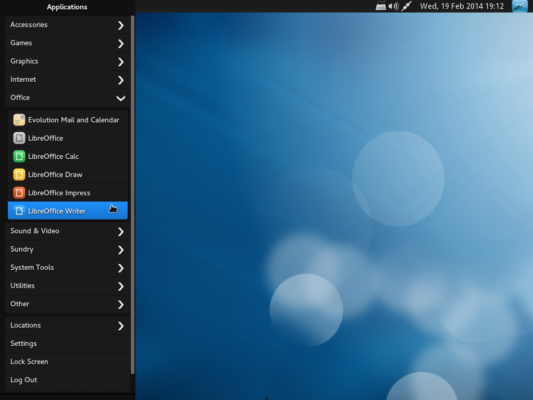 The BlankOn 9.0 desktop with the custom menu showing installed Office applications. LibreOffice 4.1.4 is the installed Office suite. The BlankOn 9.0 desktop with the custom menu showing installed multimedia applications. System management utilities installed on BlankOn 9.0 as seen from the custom menu. 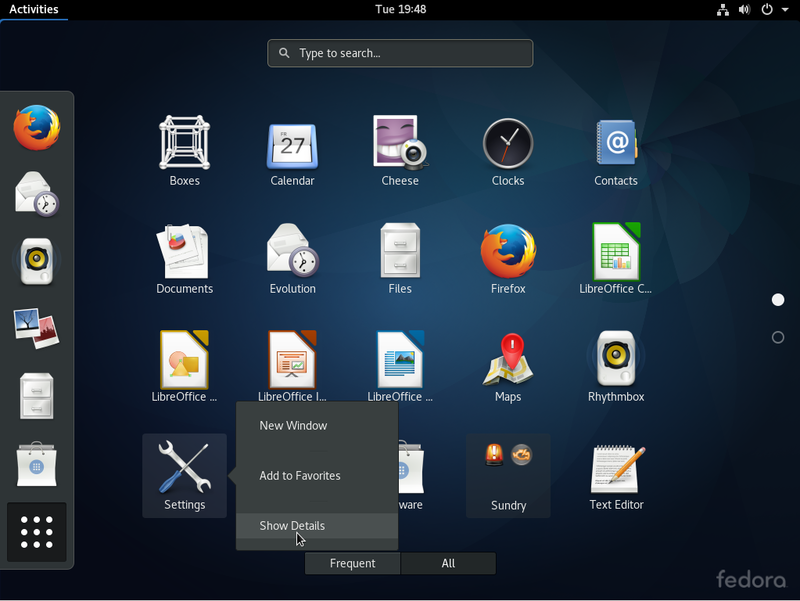 Other system tools installed on BlankOn 9.0 as seen from the custom menu. 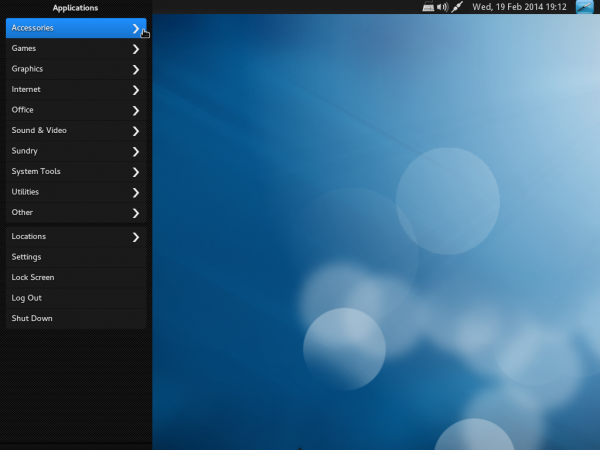 The custom menu of BlankOn 9.0 showing the home folders. Warsi, the graphical application manager, looks very good and is quite snappy. After installing an application, it gives you the option to launch it, which is a very convenient feature. 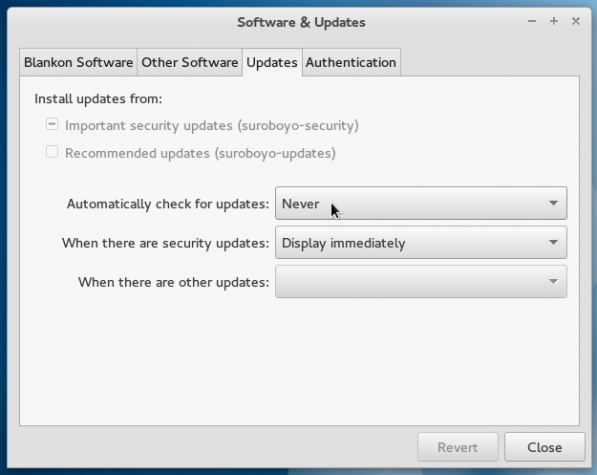 By default, the software update policy is to never check for updates, but to alert when security updates are available. That’s a combination of settings that doesn’t make sense. Even after changing it to check for updates, the When there are other updates menu was not clickable. I don’t dish out ratings, but if I had to rate Warsi and the update manager as a unit, a B+ or 3.5 stars is the best I can manage. But that’s much better than the installer will score. 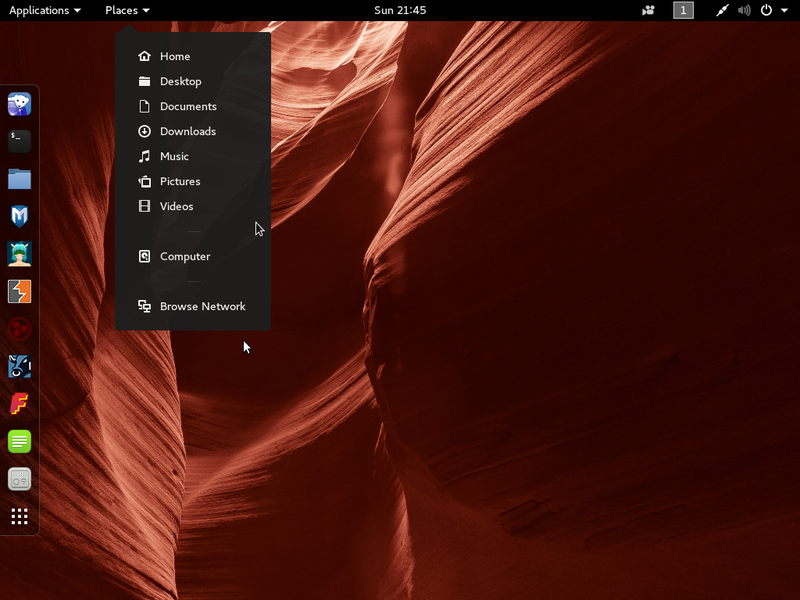 Most of the graphical management applications available on BlankOn 9 are the same ones you’ll find on any GNOME 3 desktop, with most of them in the System Settings. 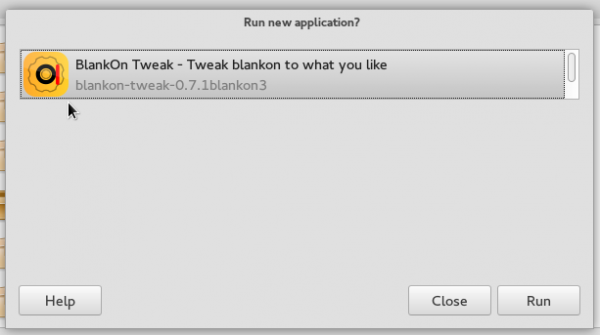 On BlankOn 8, there was an application called BlankOn Tweak, which is just like Ubuntu Tweak. However, on BlankOn 9, it is not installed, though it is in the repository. After installing it and attempting to start it from the menu, it failed to start. From the command-line, I could see that the application will make an attempt to start, but then crash. I’m guessing the developers are aware of the problem with BlankOn Tweak and that’s why it was not installed out of the box. Which means that between BlankOn 8 and BlankOn 9, BlankOn Tweak did not get better. It actually got buggier. 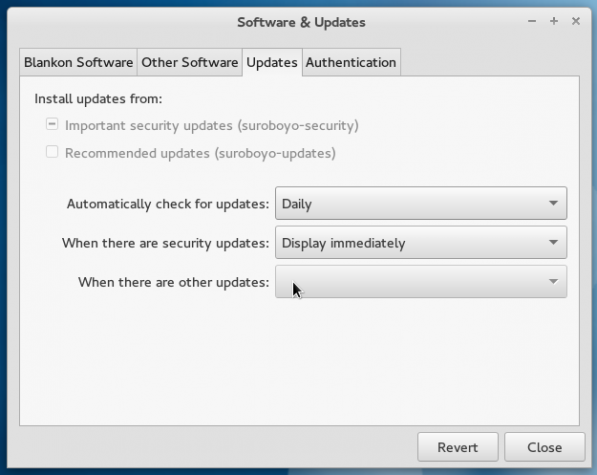 Network and Physical Security: You already know that the installer has no physical security features, that is, no support for disk encryption, home folder encryption, and no option to specify a password for the boot loader. And it doesn’t get any better with the default network security posture. Many popular desktop distributions tend to ship with the firewall application disabled, but in the case of BlankOn 9, it’s not just that the firewall is not enabled, but that it is not even installed, even though Ufw (Uncomplicated Firewall) and FirewallD are in the repository. In other words, all the network security applications you need are available. You just have to install them yourself. Ufw is the firewall application from Ubuntu, and FirewallD is the equivalent application from the Fedora project. To sum, there’s nothing about BlankOn 9 that makes me what to recommend it for anyone’s distro-hopping list. There are at least more than a dozen distributions available that are much better – in every respect. But one man’s meat is another’s poison, so I’m sure there are people out there who will still like to use it for their desktop computing tasks. Resources: If you care to take BlankOn 9 for a spin, ISO installation images are available for download from here. The classic style menu is quick and easy to use, without needing to touch the keyboard or type something into a search box. Why should that make any difference?